Originally published in American Patchwork & Quilting magazine, you now have the chance to own this original quilt made by Natalia Bonner & Kathleen Whiting. Custom machine quilting by Natalia Bonner. 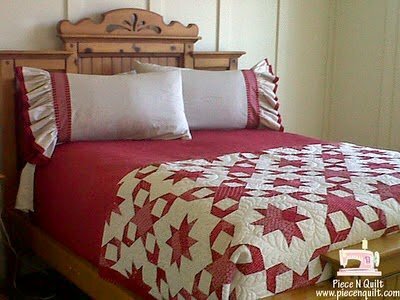 Wrapped in Red is made from high-quality Moda fabrics, Christmas themed fabrics, and finishes at 95"x95" square.